Square Enix has given the Western release date for Dragon Quest Builders 2, the highly-anticipated sequel to 2016’s Dragon Quest Builders. Players will have to wait until this summer to get to building, but we officially know it will be available on July 12, 2019. Better brush up on your building skills now! Dragon Quest die-hards likely already know that Dragon Quest Builders 2 has been out in Japan since December 2018. It made a strong debut there, which isn’t necessarily surprising considering the cultural phenomenon Dragon Quest is there. 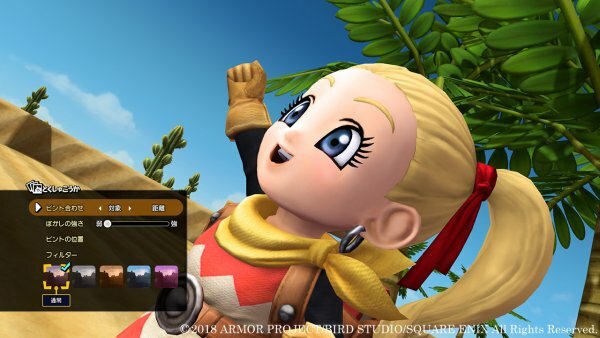 Dragon Quest Builders 2 takes the core Dragon Quest builders formula, but adds to it in many key ways. The highlight is the all new multiplayer, which allows you to play with up to three friends. There’s also a special photo mode, where you can upload your pictures to players across platforms! Now that we know the release date, the other big question if it Dragon Quest Builders 2 will get a demo in the West. It got a special demo in Japan a few weeks before its release there, so it would be definitely be worthwhile to see that come Westward. With quite a few months before its release date, there is definitely plenty of time to get news on a demo. This wasn’t the only Western release date announced by Square Enix, either. The company also announced the release date for Chocobo’s Mystery Dungeon: Every Buddy!, though there is not as long of a wait for that. Dragon Quest Builders 2 will release on July 12, 2019 for the PlayStation 4 and Nintendo Switch.